Like so many other family-friendly action shows, the characters are two-dimensional (grumpy police chief, geeky engineer), and the comedy relief is goofy rather than funny. I only ever saw Rex Smith (Jesse Mach) in TV bit parts after this, which was a real waste of a leading man - his half-naked turn in the foam-filled, suit-moulding tube (glimpsed in the theme tune) made me an instant fan. Joe Regalbuto (Norman) had previously been in the bonkers Conan knock-off The Sword and the Sorceror (1982) - he was good, funny, but looked rather out of place amongst all the barbarian mullets. The technology is fantasy, rather than reality-based. A bike with jet thrusters, a laser, missiles! It's a comic strip, but at least it's an original custom-made concept, rather than an adaption. 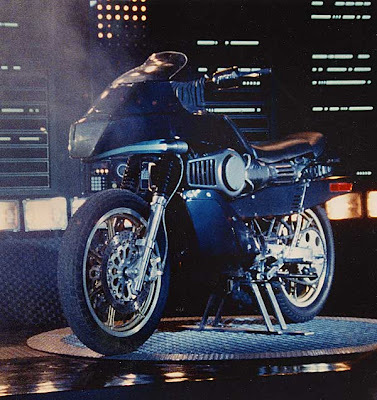 Despite the high-tech dressing, (when technology meant flashing lights and dry ice, and animation poses as computer displays) the thrills are not from the visual effects (like the 'particle beam') but from car chases and explosions, placing this in similar territory to Airwolf and Knight Rider. BUT. For all its faults, where else can you get so many car and bike (and boat and helicopter) stunts in a weekly TV show today? 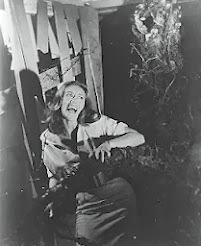 In every episode, there's never a shortage of genuinely exciting stuntwork. 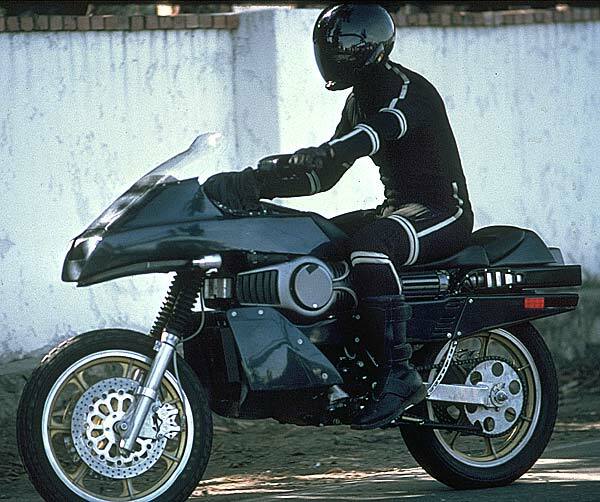 Street Hawk actually deserved slow-motion for its leaps and crashes. From the high jump through a (closed) window, to chasing a helicopter at high speed. 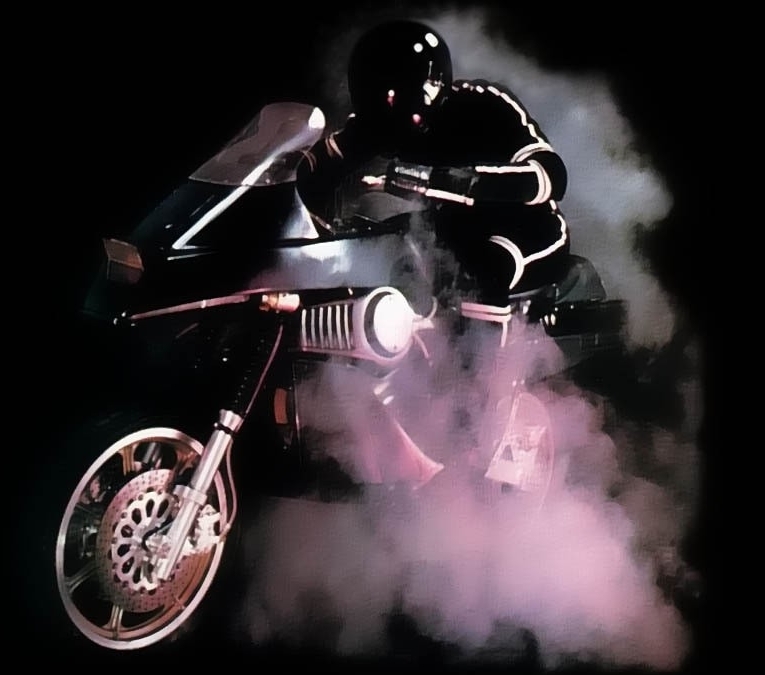 The fake sped-up 'hyperthrust' mode wasn't as dangerous, but fired-up every episode - as Street Hawk was cleared to travel at 200 mph through Los Angeles at all times of the day. How traffic could be stopped for a stretch of twenty miles, with a guarantee of zero jaywalkers, was beside the point. The effect took a visual cue from Koyaanisqatsi - headlights and neon at night, flashing past as streaks. 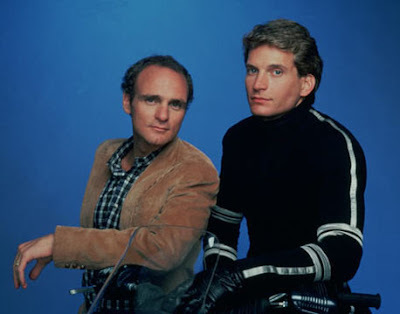 Another aspect that helps me rank this over Knight Rider, is the synthesizer soundtrack. 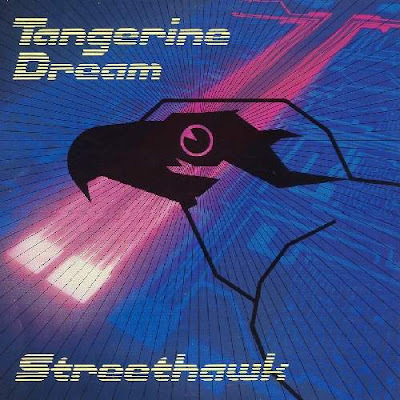 Tangerine Dream's track Le Parc was used as the theme tune and the band provided the background score throughout. 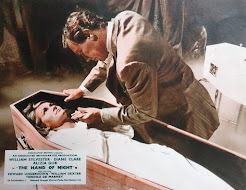 This is the same year they were brought in to score Ridley Scott's Legend for the re-edited US version, replacing Jerry Goldsmith's soundtrack. 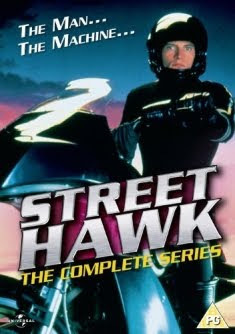 The movie-length pilot episode (well, barely 75 minutes long) appeared on laserdisc, but this UK region 2 set is Street Hawk's world debut on DVD - the entire series runs only 13 episodes. It's coming to the US in July. For absolutely everything else about Street Hawk, there's an extensive fansite here. 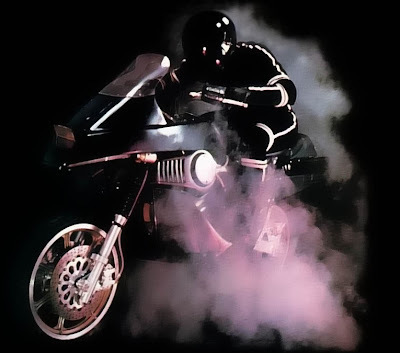 i'd completely forgotten about Street Hawk... that opening credit sequence is TEH AWESOME. Oh, wow. I totally forgot about this show! 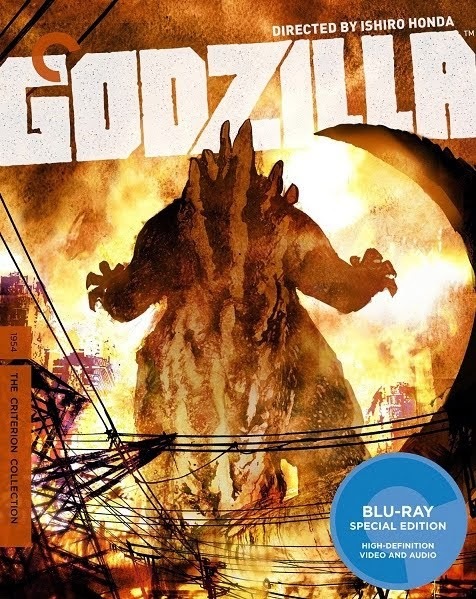 I will have to pick this up when it comes out. Thanks for the memory! Thanks for putting this. Makes me very nostalgic. One of my favorite show in my childhood. Tangerine Dream. A man. A Machine. What more do you want! Great memories of this as a kid but surely, honestly, this cannot rank over Knightrider - come on man!